David Eide concentrates his practice in commercial litigation and commercial lease disputes, representing real estate developers, lenders, commercial landlords, contractors and a variety of other companies and entrepreneurs in state and federal courts and in alternative dispute resolution. 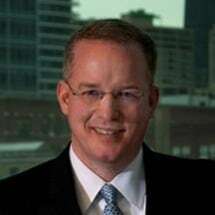 Mr. Eide is a member of the Illinois Bar and is also admitted to practice before the United States Supreme Court, the United States Court of Appeals for the Seventh Circuit, and the United States District Court for the Northern District of Illinois and is a member of that Court's Trial Bar. Karlin Associates, LLC, represents business and real estate clients throughout Chicago and surrounding areas of Illinois.